We're welcoming an unseen guest to our Jewish holiday celebrations this fall: My mother-in-law, Jan Dale, who died in 2005. Since her passing, I've tried to keep Jan a presence at our festive meals with my attempts to bake some of her favorite recipes. For instance, to mark the start of Yom Kippur Tuesday night, I've made a batch of Jan's crumbly, cinnamon-scented mandelbread — that's Yiddish for "almond bread," a twice-baked cookie that's the Jewish version of biscotti. But getting here has taken a bit of detective work. 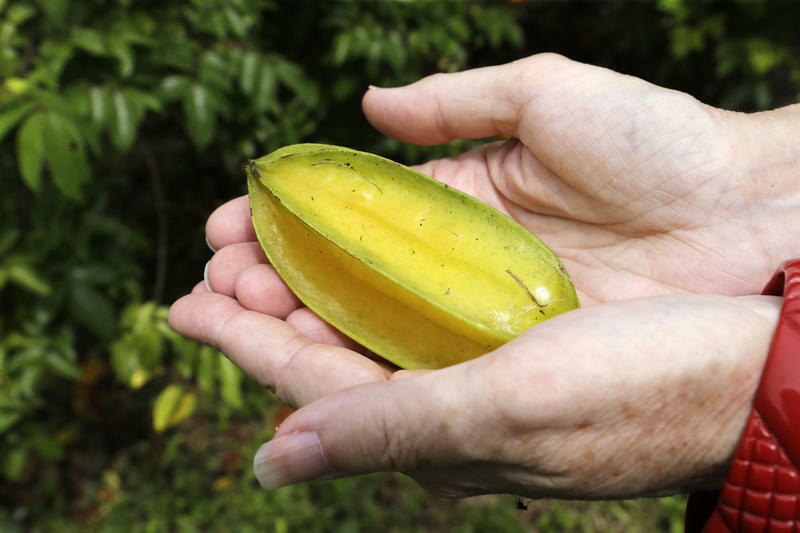 In Florida, federal and state officials have quarantined 85 square miles of farmland to combat a destructive pest: the Oriental fruit fly, which attacks hundreds of varieties of fruits and vegetables. If you are looking for proof that Americans' vegetable habits lean towards french fries and ketchup, the U.S. Department of Agriculture has it: Nearly 50 percent of vegetables and legumes available in the U.S. in 2013 were either tomatoes or potatoes. Lettuce came in third as the most available vegetable, according to new data out this week. Like shrimp and tuna, salmon is very popular with Americans. Diners love it even as sushi. But in sushi's birthplace, Japan, raw salmon wasn't always on the menu. 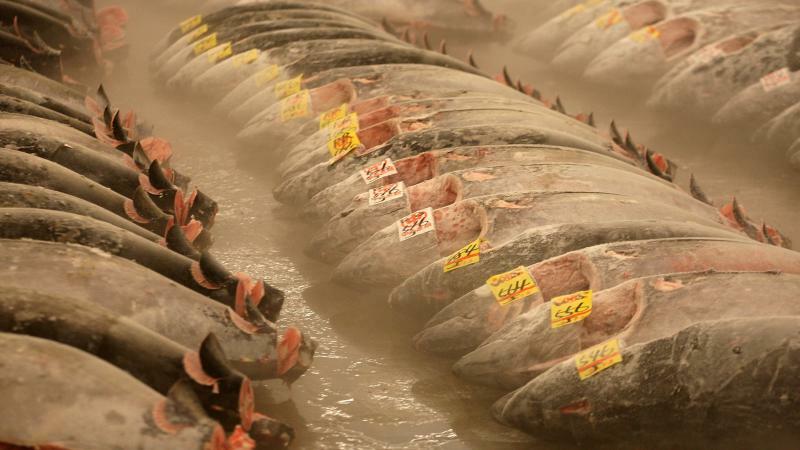 Jess Jiang of our Planet Money podcast has the story of salmon sushi's rocky start. The wealth gap in America manifests itself not just in our pocketbooks but also in our bellies: The poor are eating less nutritious food than everyone else. 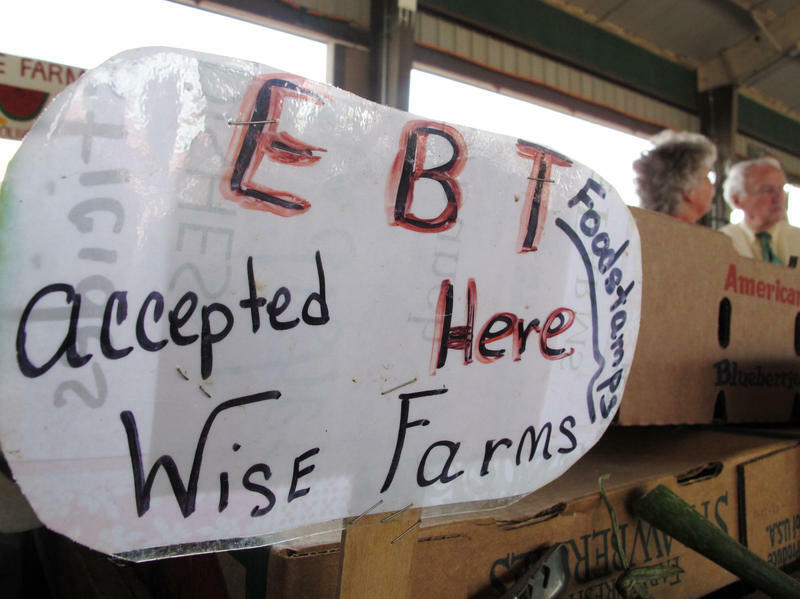 So concludes a new review of 25 studies published between 2003 and 2014 that looked at the food spending and quality of diets of participants in SNAP, the federal Supplemental Nutrition Assistance Program, also known as food stamps. 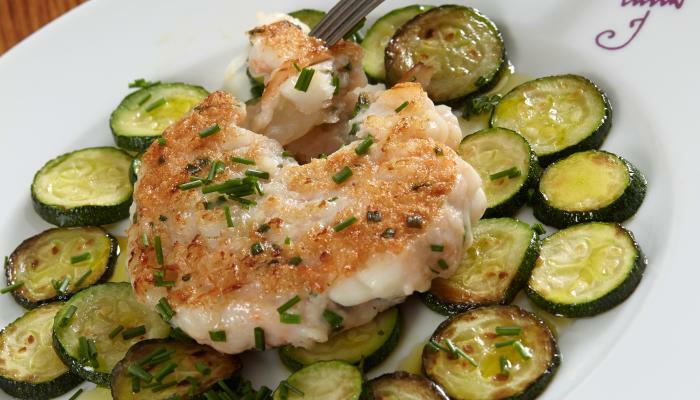 We talk a lot on The Salt about the Mediterranean diet, which is rich in nuts, olive oil, fish, fruits and vegetables. 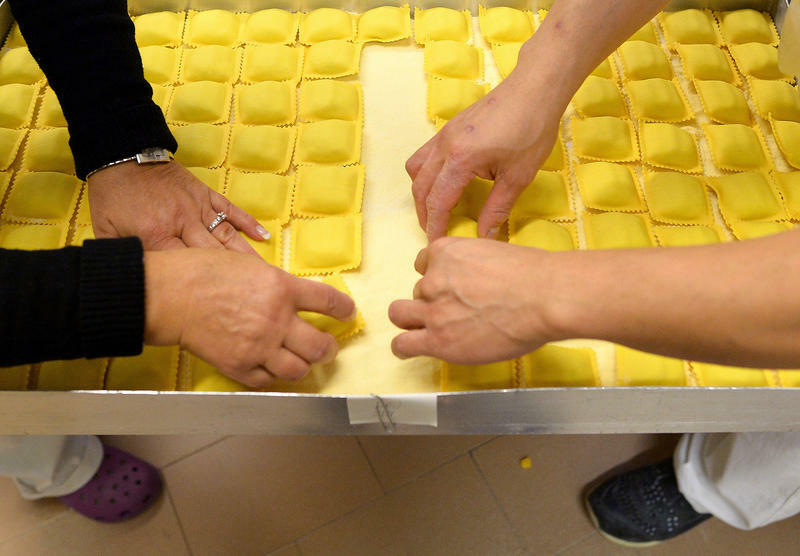 Scientists believe it's one of the world's healthiest patterns of eating, and can protect against a lot of chronic diseases. 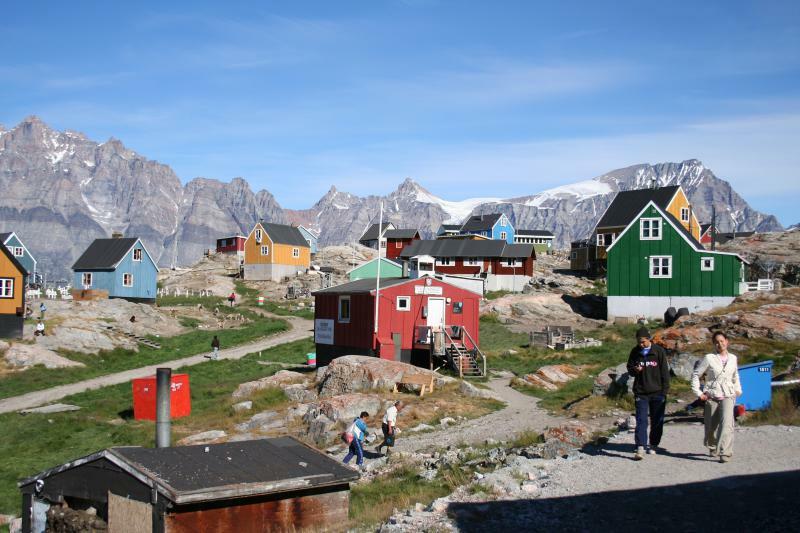 In the Arctic, the typical meal looks very different. There, a traditional plate would have some fatty marine animal like seal or whale and not much else – fruits and vegetables are hard to come by in the harsh climate. Fast food is an undeniable part of American culture. We've probably all encountered the McDonald's "I'm Lovin' It" jingle and the white-goateed Colonel Sanders of KFC at least once, if not hundreds, of times. The big fast-food chains market their foods to us constantly. 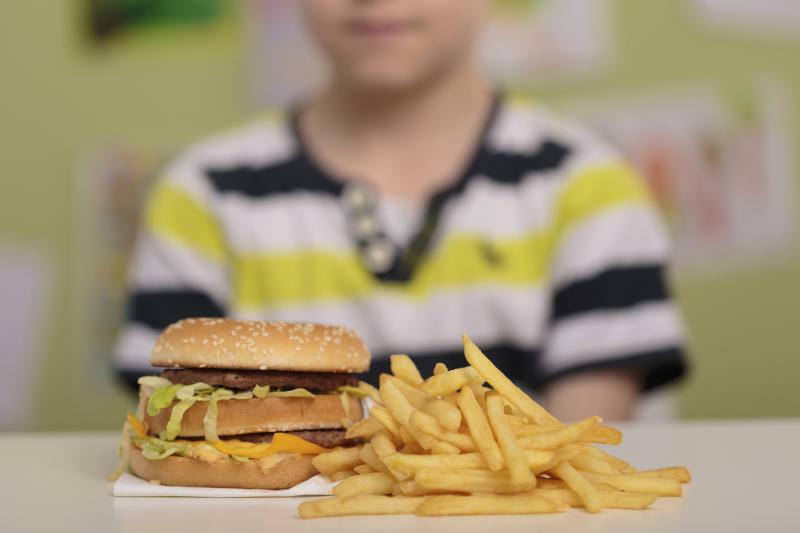 And our children see, on average, three to five fast-food ads per day. Oatmeal is generally considered a no-no on the modern paleo diet, but the original paleo eaters were definitely grinding oats and other grains for dinner, according to new research. That finding comes from new investigations of an ancient stone recovered in a cave called Grotta Paglicci in Puglia, in southern Italy. 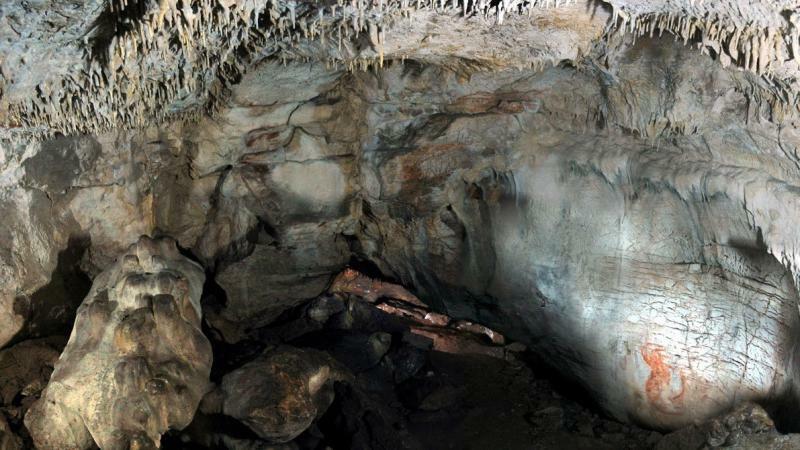 It was used by the Gravettian culture — a paleolithic people who also left behind spectacular cave paintings, evidence of burial and distinctive stone tools. How did we get vanilla flavor without a vanilla bean? Or chicken flavor made from all-vegetarian ingredients? 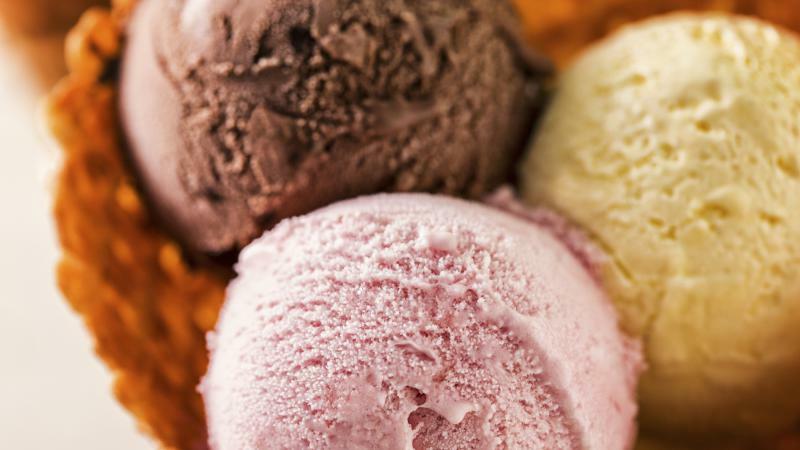 Though humans have been enjoying the sensory pleasures of flavor since we first popped food into our mouths, the flavor industry itself is relatively new. 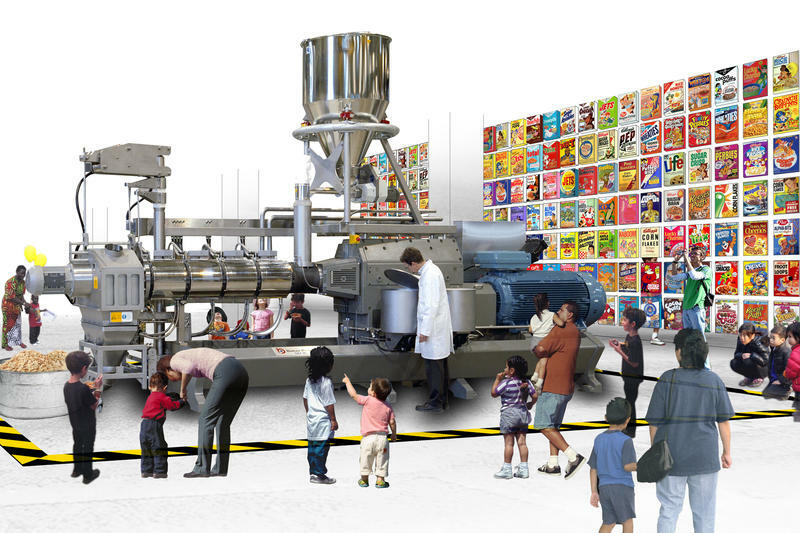 And this modern business of manufacturing smell and taste will be the theme of the Museum of Food and Drink's first exhibit in a brick and mortar space of its very own: a "mini-museum" opening in Brooklyn on Oct. 28. I had a dish similar to this in a small restaurant in Mexico, and at Gloria’s request, I created my own version at home. I use medium-size raw shrimp and puree the tails in a food processor, then combine the puree with pieces of the shrimp to form thick burgers. We had a visitor here at NPR on Thursday: Alice Waters, the famous chef and educator. 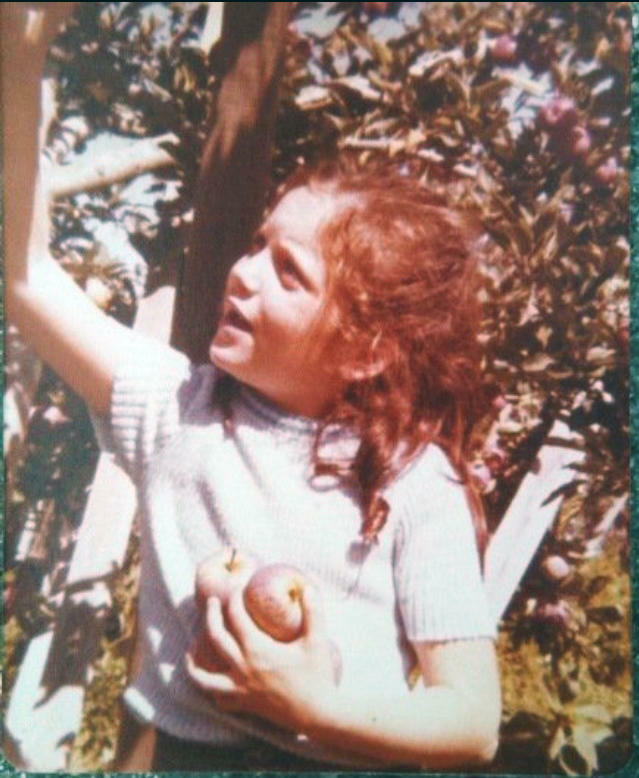 She's best known for her restaurant Chez Panisse, which helped to popularize local, seasonal ingredients. When she came by, she looked a little different. 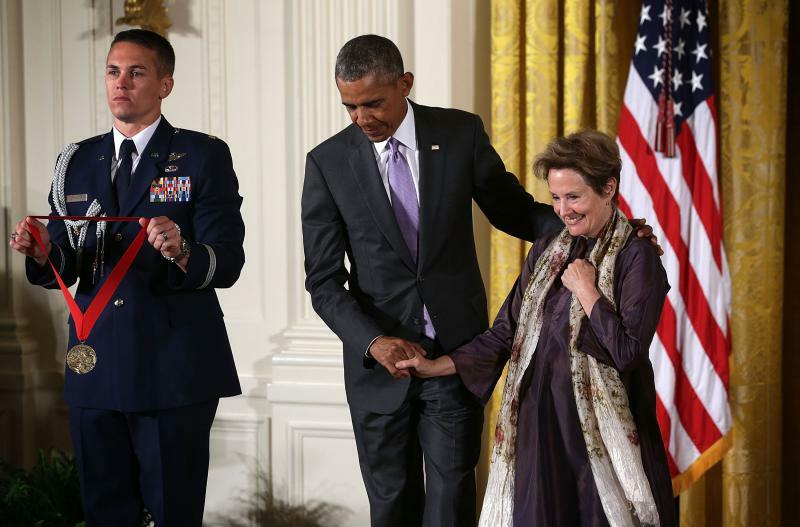 Hanging from her neck was a bronze medal on a red ribbon — a National Humanities Medal. President Obama had just given it to Waters. The campaign to force America's farmers to change the way they handle their animals celebrated a victory this week. McDonald's USA announced that in the near future, it will no longer buy eggs from chickens that live in cages. 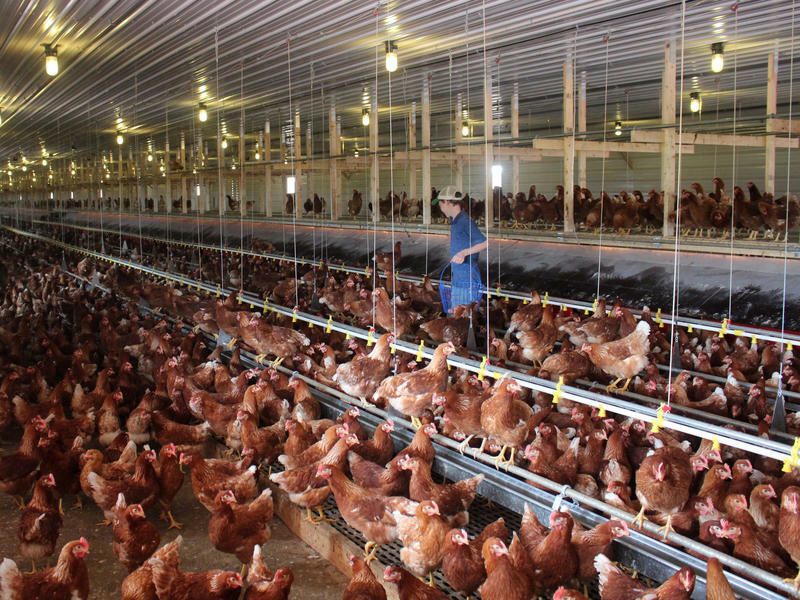 Those cages are still the industry standard, and 90 percent of America's eggs come from chickens that live in them. Labor Day may have marked the unofficial end of summer, but the craving for ice cream knows no end. Of course, if you're not quick enough, melting ice cream creates a mess. But now, European scientists say they may have stumbled upon a solution to the sticky situation: an ingredient that makes the treat melt significantly more slowly. What if a spoonful of ice cream could stretch out like melted mozzarella on a pizza? "Mess!" you think. Or perhaps, "Fun!" 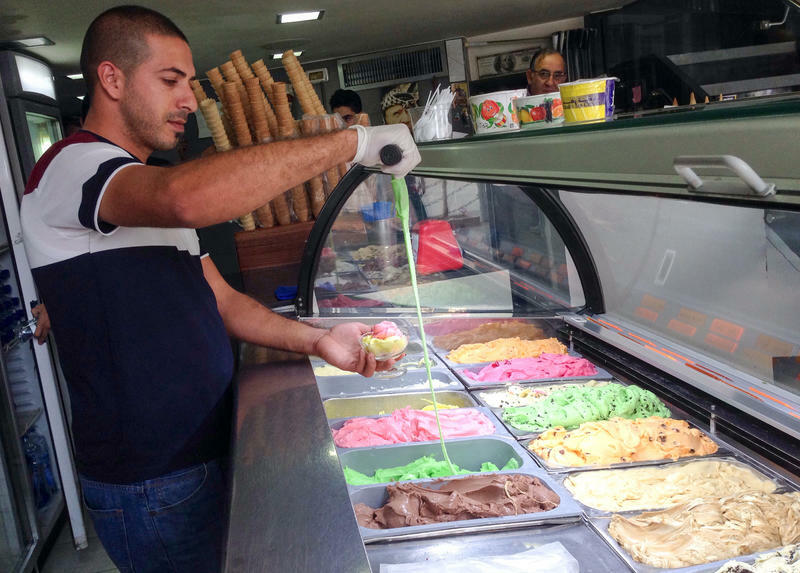 Ice cream with an elastic texture is a treat around the Levant. In Ramallah, two shops – with intertwined histories — cater to Palestinian cravings. Rukab's is the original. It opened in 1941 as a cafe in the same spot where it still stands. But 59-year-old Hassan Rukab, son of the founder, says his family's ice cream business was operating much earlier. Feeding a caffeine habit is no sweat in our day and age: Just raid the office kitchen for some tea or hit one of the coffee shops that pepper the landscape. 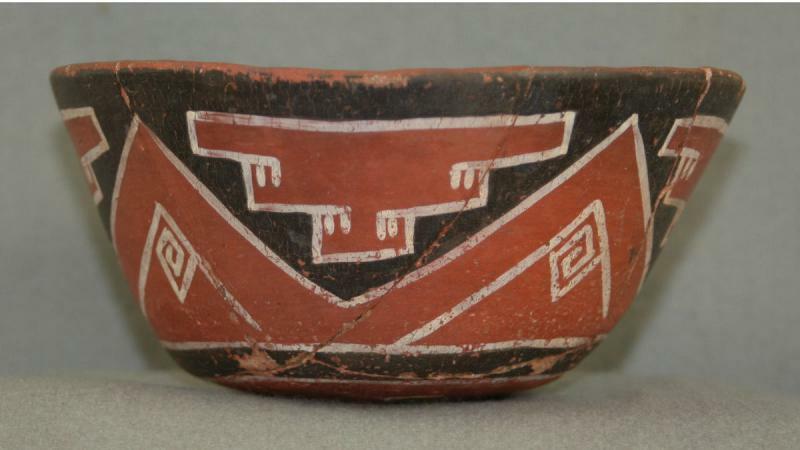 But 1,000 years ago, Native Americans in the American Southwest and Mexican Northwest were getting their buzz on in landscapes where no obvious sources of caffeine grew, according to new findings published in the Proceedings of the National Academy of Sciences. 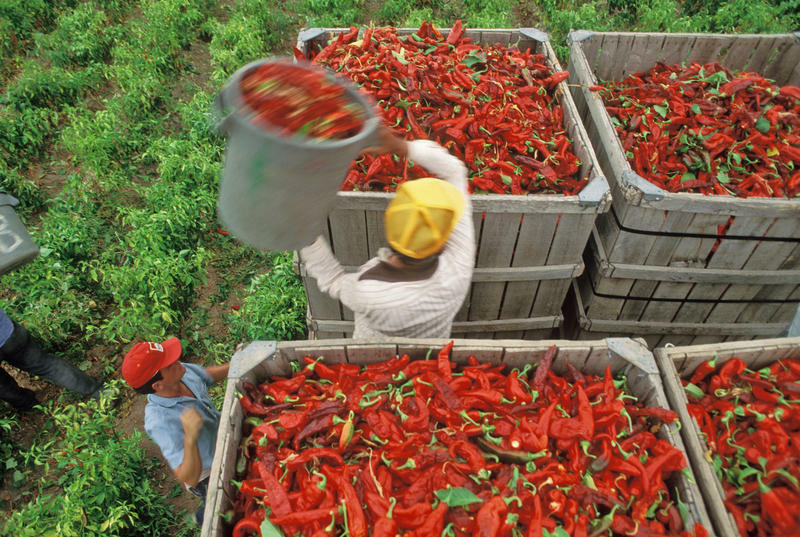 If you're enjoying a late-summer fruit pie this Labor Day, consider what went into growing and harvesting that fruit. Chances are, it took a lot of human hands to ensure its skin would be perfect and smooth when you bought it. 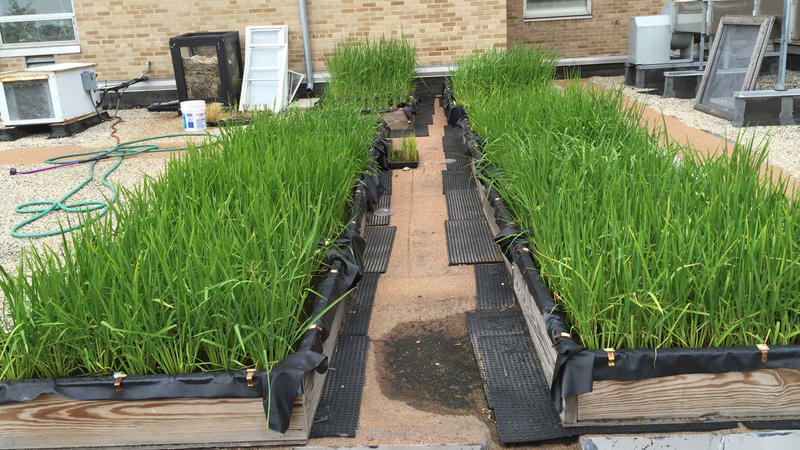 A Marquette University molecular biologist is experimenting with growing rice in the Midwest. In the U.S., most rice is grown in Arkansas and California. But with drought conditions in California and the uncertain impacts of climate change, scientist Michael Schläppi has been trying to grow the water-intensive crop in a Wisconsin lab and field. Four years ago, Schläppi began stress-testing rice using special climate-controlled growth chambers in his Marquette University lab. It's that time of year when some gardeners and tomato-coveting shoppers face a vexing question: What on earth am I going to do with all these tomatoes I grew (or bought)? A select few up to their elbows in tomatoes may have an additional quandary: How am I going to prepare different kinds of tomatoes to honor their unique qualities? 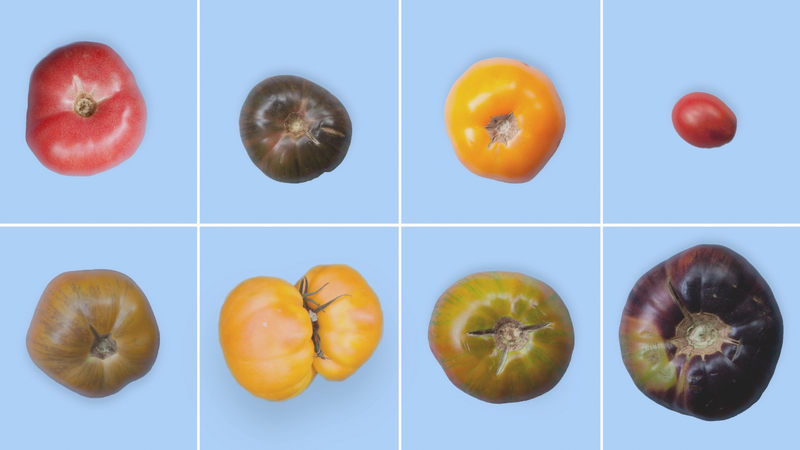 We're not shy about our affinity for the Cherokee Purple, a purplish package of sweet, acid and savory tomato greatness. In the annals of ill-conceived public relations campaigns, the egg industry's war on Just Mayo deserves at least a mention. Just Mayo is a product that looks like mayonnaise, tastes like mayonnaise and yet contains no eggs. 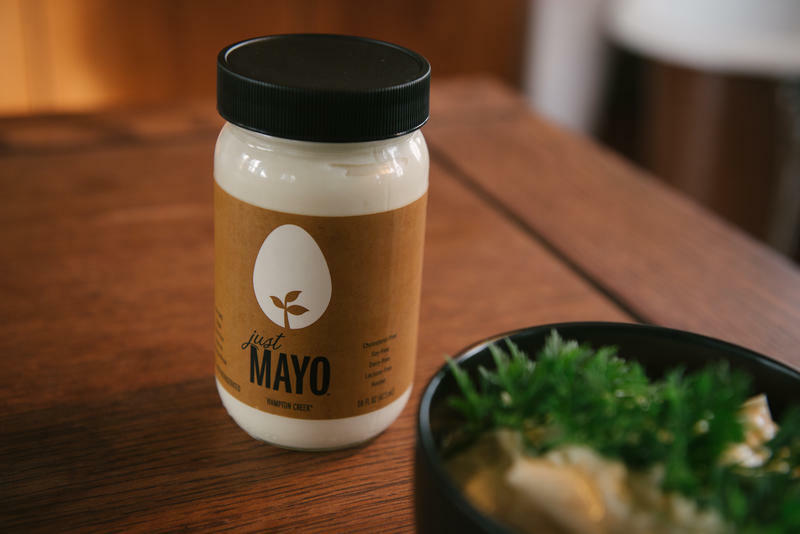 The company behind it, Hampton Creek, has been getting lots of attention. Josh Tetrick, the company's founder, has big ambitions. "If we're successful, there are a lot of [food] industries out there that are going to have to adjust," says Tetrick. This is the most popular recipe that I have ever written, a fact that still slightly bemuses me. 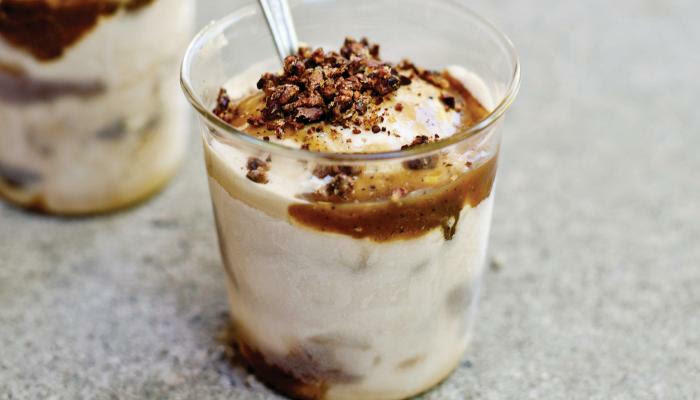 It is particularly indulgent and very moreish. So maybe it’s just the combination of salty, buttery, crispy, carb-y goodness, with the umami hit of the tomatoes that does it? Nearly 100 pounds of gleaming, fresh-caught California yellowtail and white sea bass arrived at Chef Michael Cimarusti's Los Angeles-based restaurant Providence on Wednesday morning. But this wasn't just another ho-hum seafood delivery. 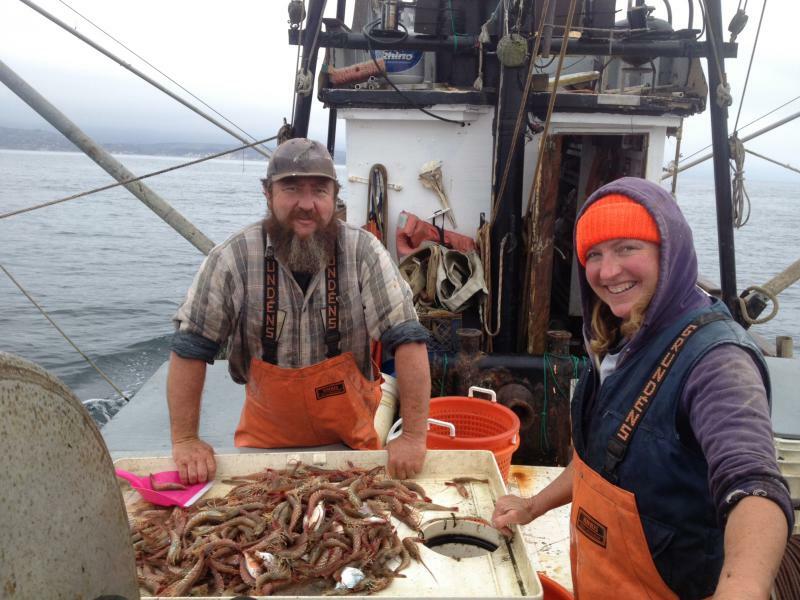 The pile of fish marks an important step toward a fundamentally different way that prominent chefs are beginning to source American seafood: the restaurant-supported fishery. Texas has a barbecue joint known as much for the line of people waiting outside as for its tender brisket. 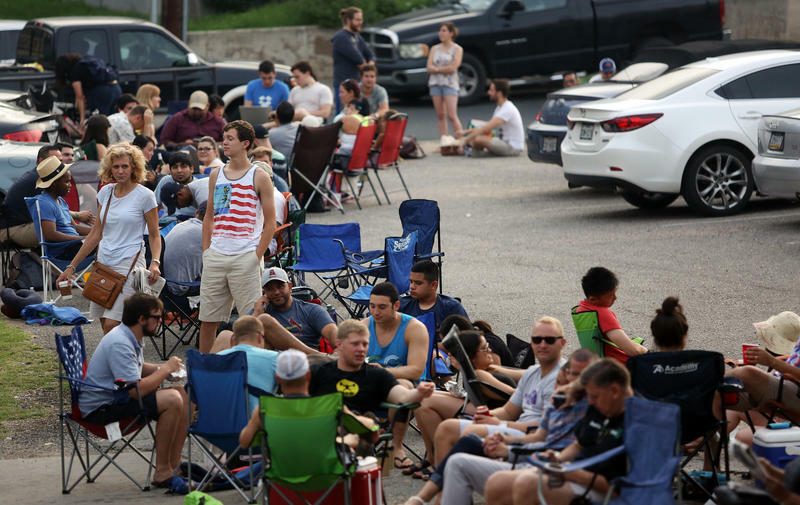 At Franklin Barbecue in Austin, people start lining up around 5 a.m., waiting six hours, chatting with others in line until the restaurant opens at 11 a.m. This barbecue place is such a big deal that entrepreneurs like Desmond Roldan are cashing in on its fans. "People know me. I'm a big deal," he says, chuckling. Sometimes fast food just isn't fast enough. 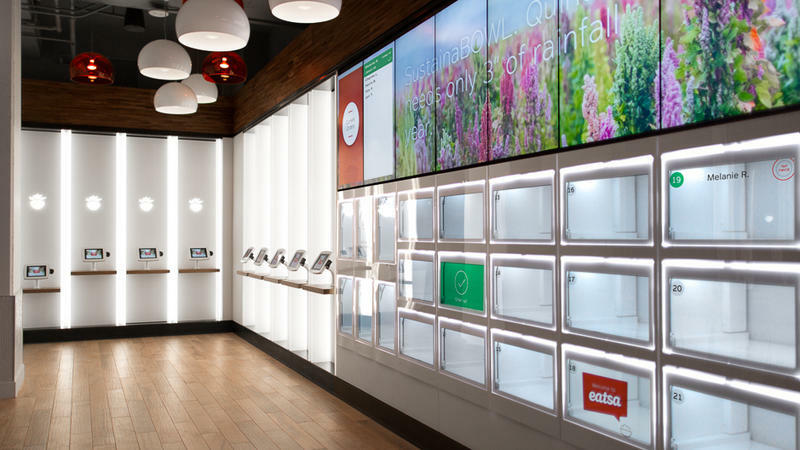 A new highly automated restaurant that opened in San Francisco on Monday looks to speed service through efficiency — you won't see any people taking your order or serving you at the Eatsa quinoa eatery. This is a story of American ingenuity and entrepreneurship. It is the story of the meat straw. Yes, you read that right. "It is a straw made out of pork," explains Ben Hirko of Coralville, Iowa, the man behind Benny's Original Meat Straws. It's a half-inch in diameter, the same length as a standard plastic straw. 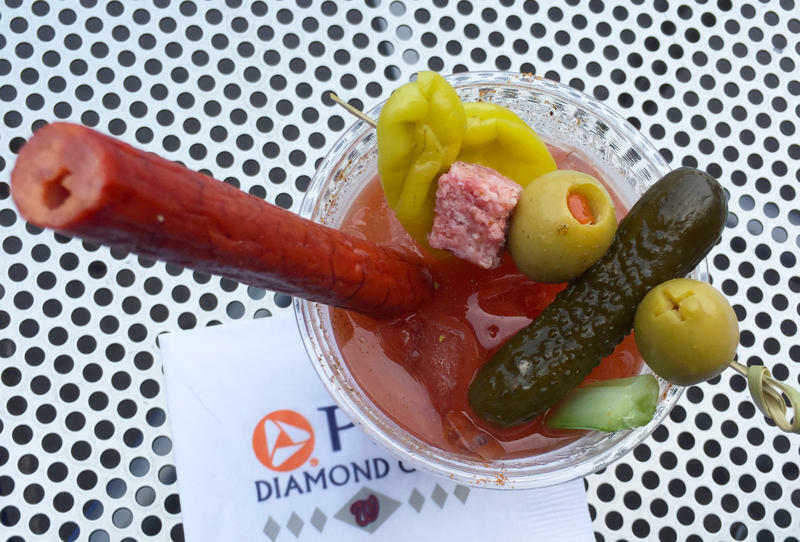 And it has a hole running down the middle of it, through which you're meant to slurp up Bloody Marys. Indians make something they call espresso, but it’s unlike any espresso you’d see in Italy; it’s actually closer to a Greek frappé, a bold brew of instant coffee whipped with an enthusiastic amount of sugar, and then combined with hot water and milk. I’ve been a longtime fan of that coffee, so when I was first introduced to the Vietnamese version, a drink with very much the same uncompromising intensity, I was sold. When I decided to freeze it, well, then I was lost. Oh, the joy of discovering courgette pasta! You do need to buy a special julienne peeler/cutter to create it, but it is well worth the investment. 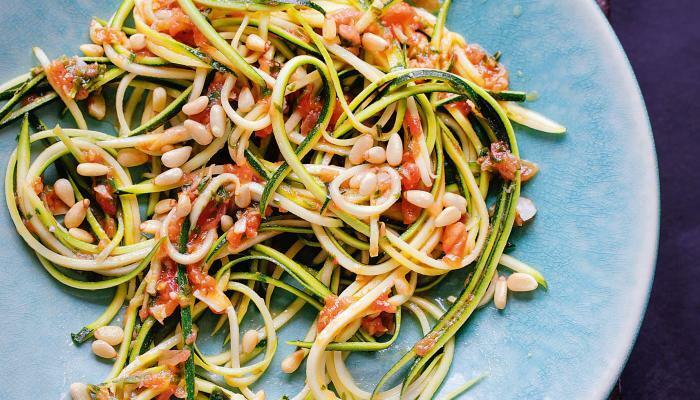 The best thing about this dish of courgette spaghetti with a fresh tomato sauce is that it is a lower calorie alternative to the traditional pasta dish, so you can eat until you are full. It makes a great lunch if you’re trying to lose weight. 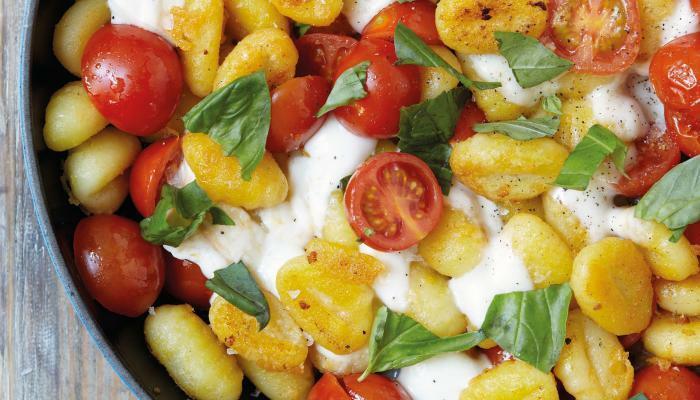 Molten mozzarella, cherry tomatoes and yeast are the aromas that punctuate summer in Rome. On a recent day, 7-year-old Filippo Virgo has a hankering for pizza — a classic of the Eternal City. The problem is that Filippo has celiac disease. This means he gets sick from eating gluten — a protein found in wheat and other grains. Pizza is usually out of bounds. And, for a second-grader, that's a travesty. Filippo's family heads inside Il Tulipano Nero, a classic Italian restaurant — right down to the checkered tablecloth. 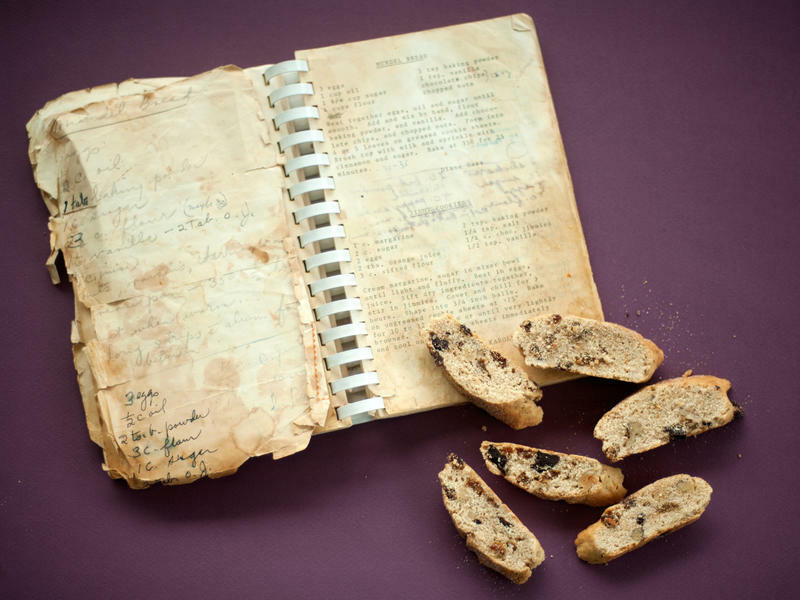 This summer, NPR is getting crafty in the kitchen. As part of Weekend Edition's Do Try This At Home series, chefs are sharing their cleverest hacks and tips — taking expensive, exhausting or intimidating recipes and tweaking them to work in any home kitchen. 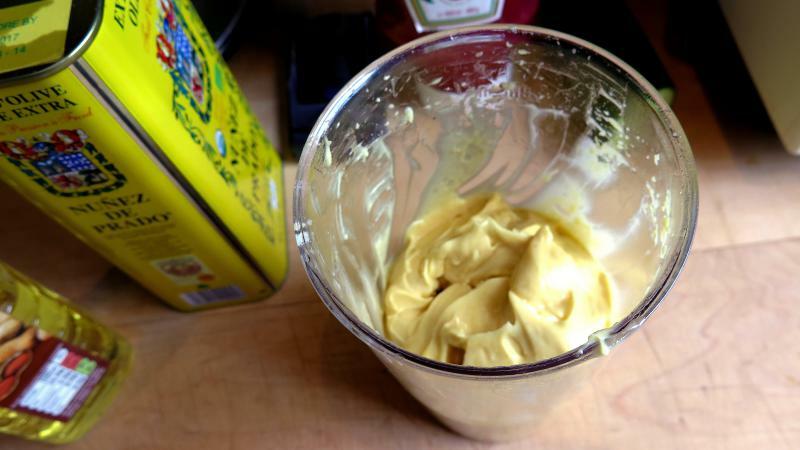 This week: Making mayonnaise that's just as delicious as, if not better than, what comes out of the jar.